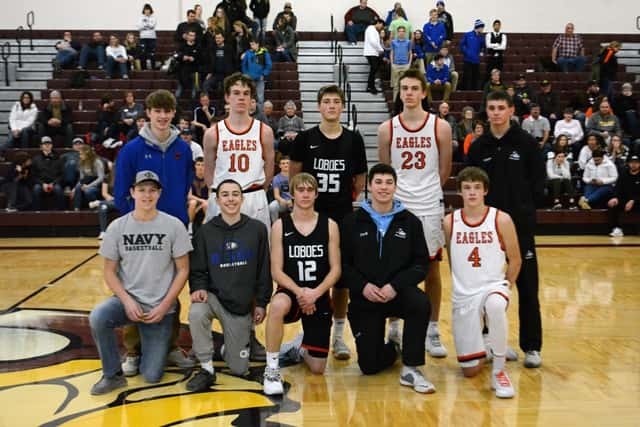 VALLEY CITY, N.D. (NewsDakota.com) – Sargent Central, Barnes County North, Griggs County Central and LaMoure-Litchville/Marion picked up wins on the final day of the 102nd Annual Barnes County Tournament. Jayden Hayek’s bucket with 4:27 to go in the fourth quarter was part of a 7-0 run by the Cadets that gave them a 40-37 lead, a lead they would hold on to for their first win of the season. Dillon Schreiner had a double-double to lead the Cadets. Schreiner had 10 points and 11 rebounds. Logan Wyum had nine points and six rebounds. Austin Willprecht and Jayden Hajek had eight points each. Hajek added eight points and nine rebounds. Tate Zerface led the Spartans with a double-double. The sophomore had 18 points, 12 rebounds, and four assists. All team highs. Owen Zerface had nine points and four steals. And Colby Dows came off the bench to score eight points for the Spartans. Tristin Roaldson scored 11 of his teams 13 points in the fourth quarter lifting the Bison to the win. Roaldson had three rebounds and two steals in the final 8 minutes. He finished with 15 points, six rebounds and four steals. Tanner Soupir came off the bench to score 10. Jacob Johnson led the Raiders with 19 points and seven rebounds. Grady Karges added nine points and five rebounds. Carson Hovelson chipped in six points, five assists and two steals. The Bulldogs missed a potential game tying 3 pointer in the closing seconds as The Cougars held on to win the 3rd place game. GCC led by 13 points with 1:52 to go in the 3rd quarter when MNS began to come back. Several times over the final 8 minutes they’d come within a point but couldn’t find the go ahead basket. GCC finished the game shooting 43%. Hunter Gronneberg had 21 points to finish as the lead scorer. Tanner Haugen had 17 points and 8 rebounds. Isaac Smith also had a near double double with 11 points and 8 rebounds. The Bulldogs’ lead scorer was Matthew Asche who collected 15 points. Ben Waswick added 12 and 8 rebounds and Reed Nelson 11 points and 9 rebounds. MNS shot 37%. The Loboes took control of the title game’s final quarter and outscored The Eagles 26-7 to earn their first BCT title since 2015. Jamison Kramer scored 19 points to lead of group of 4 double figure scorers for LLM. Rory Gentzkow has 17 points, Shay Ness 14 and Alex Klever 10. The Loboes shot 46% and were 6 for 10 on 3 pointers. 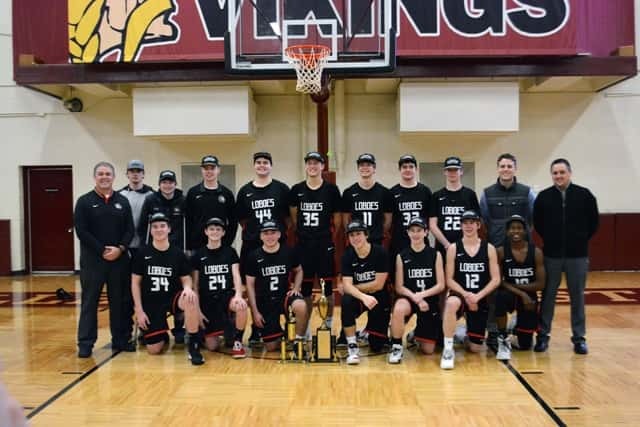 Gus Hurlburt went 14 for 20 from the free throw line and led Enderlin with 20 points. Chance Bye had 10 points and Joe Hurlburt 5 points and 12 rebounds. The Eagles would shoot at just 24% and 15% in the second half.